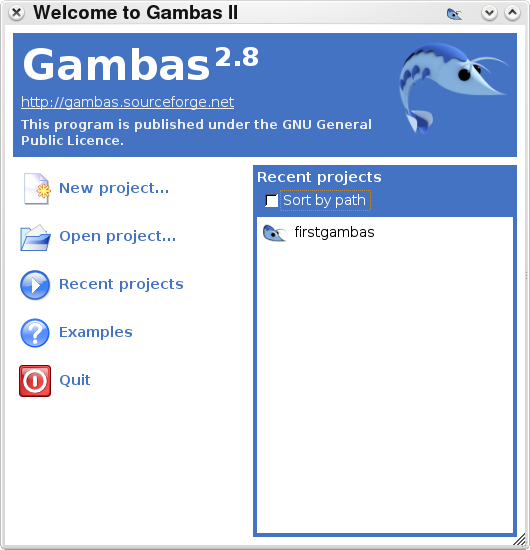 Gambas is a development environment and platform for Linux and Unix systems. It uses a custom programming language, similar to (but not the same as and not compatible with) Microsoft's Visual Basic. 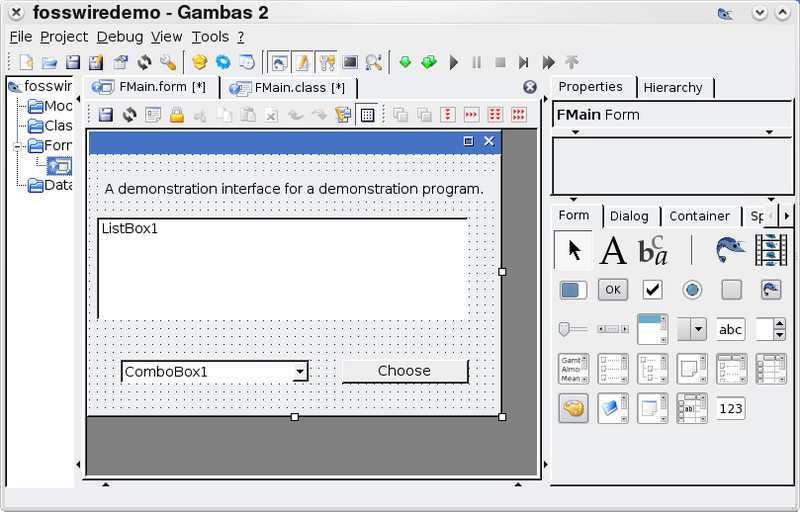 Gambas allows you to put together Qt and GTK+ interfaces with drag and drop ease and connect them to code, in a very similar way to Visual Basic on the Windows platform. While something similar to VB as a language and platform will probably be unpopular with many Linux and open source enthusiasts, using the Gambas environment is one of the easiest ways to rapidly develop a graphical application for deployment on Linux/Unix systems. The Gambas IDE bears a striking resemblance, again, to the Visual Basic IDE and brings together source editing, drag and drop GUI design and project compilation and debugging from a single interface. One of the major attractions to this platform is its support for Rapid Application Development (RAD) and its visual approach to programming. Even if you have only a little programming experience, you can quickly put together a graphical program for almost any desktop environment. Obviously, a development platform like Gambas isn't suitable for all projects. What I think this certainly has utility for is for very quickly building graphical applications to automate certain tasks, for example. Gambas offers probably one of the quickest and simplest ways to build a graphical application for Linux. Anyone with a little Visual Basic experience will very quickly be able to pick it up and start developing simple applications.